The assured, comforting rhythmic beating of a heart, echoed inhalations of breath, gradually merging with the ceaseless ticking of a clock, whispered mutterings from indistinct and barely heard voices all come to an abrupt end with the stark intrusion of the ringing of an alarm clock. Scenes from a dream, perhaps even a parable of life itself. The beating of time, the passing of moments, episodes, half-remembered fragments and memories in the flow of life. 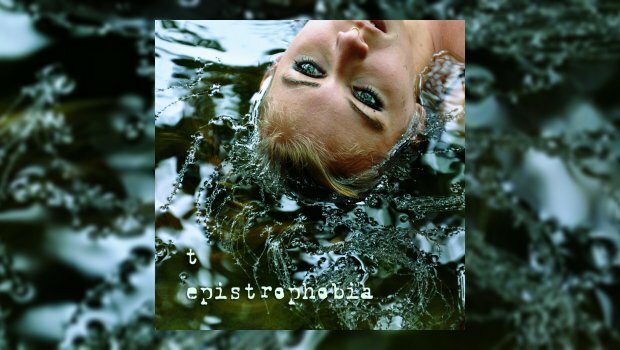 So begins the opening of Epistrophobia, the direct follow on from Thomas Thielen’s hugely impressive 2015 album Fragmentropy and a sixth album which takes its rightful place in the context of a significant and carefully evolving project to grapple with the transitory fragility of relationships, the fleeting episodes which come together to make up our lives and the struggle to find meaning in what happens to us and in everything around us. Thielen’s music has always demanded your time and attention when listening to it in return for the rewards it eventually yields and this new release is no exception. It is a hugely impressive and deliciously complex weaving of lyrical poetry and philosophy with musical inspiration and hard fought creativity to form a sombre yet highly melodic set of heartfelt explorations which are intellectually intense and emotionally provocative in equal measure. The album picks up where Fragmentropy temporarily paused for breath, the sequence of tracks beginning with Chapter Four: A Poet’s Downfall and proceeding through Chapter 5: Contingencies through to Chapter Six: The Place Beyond the Skies. The forlorn passion and energetic intensity carries over into textures which are bleak and ferociously discordant in parts, joyfully lost and carried away in the chaos of the moment, only to emerge into shafts of the most delightful symphonic oases, delicate vocal rounds and off-set choral harmonies. Yet unlike his other works, there seems to be no peace to be found even in the quieter and more relatively settled moments. Chapter Five, comprised of a trilogy of tracks (What If, What If Not and Forgiven), illustrates the unsettling experiences which are brought together by thoughts of love, of loss, of death, the sheer randomness of why this person, why here, why now? Thielen focuses the turbulence of these feelings to pay a moving homage to the passing of David Bowie. The experience of chance, of accidental happenings, underlines that we can know nothing for certain. Everything is of the moment. The music here is dark, full of sharp contrasts, bursts of ideas embedded in dramatic outpourings of sounds and resonances. Instruments combine and separate, maelstroms of noise giving way to alluring eddy’s and enticing, mellowing swirls. The mix is perfect for capturing the smouldering and fragile emotional states, the thoughtful uncertainties, the desperation for security, peace and assuredness. As the album progresses into Chapter Six: A Mask Behind a Mask, Thielen uses our feelings of nostalgia not to dwell on the past but to do the exact opposite: open doors to the idea of possibility, to understand that moments pass from one to the other and that what we see as endings are in fact always the beginnings of something else. Nothing is ever finished or complete. There is no point from which you can look back and see a definitive pattern or meaning. Our lives are always ‘on the way’, moving from beginning to beginning to beginning. We are here, now, living, loving, suffering, laughing. This paves the way for the final track of the album, Epistrophe, which almost becomes a hymn of joy, of new wonder – an ode to the ceaseless possibilities which come our way over and over again. As life courses through the beating of the blood in our veins so life in the world is a beating rhythm which courses with creativity and vibrancy from cradle to grave, always on the move, always seeking and finding new directions. The music is correspondingly lighter, positive, affirming; there is a sense of something which has been – for now – temporarily resolved, of a lighter heart which is more accepting of the way things are and more understanding of how we go forward from here. The music has a stronger sense of purpose and a more confident feel. The soundstage itself feels wider, more encompassing and even welcoming. The resolution is a glorious release of instrumental exuberance mixed with symphonic tranquillity. The artwork, as with previous releases, is equally important to the direction and shape of the project. Katia Tangian’s marvellously arresting cover gives pause for thought. Ponder it well before proceeding. Open the covers and three further photographs await your consideration as you are inexorably lured to the final picture on the rear of a young woman walking into a lake. These are powerful, troubled statements, of a piece with the musical imagination and intensity which flows through the album. Yet in keeping with the message we are to take away from Epistrophe, this is not the end. In much the same way as Fragmentropy was a pause for breath and the beginning of Epistrophe, so this new album is itself a stepping stone on the way to the next instalment and a turning of the page to the beginning of a new chapter.